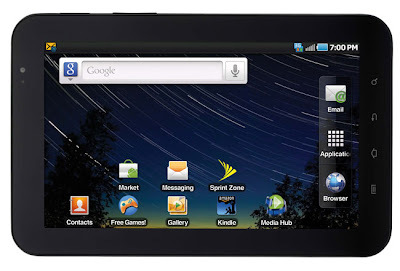 Samsung Galaxy Tab Price in India Rs. 25,000. 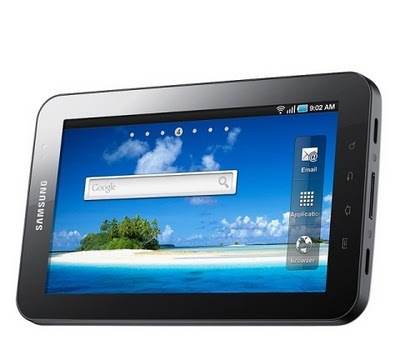 Samsung Galaxy Tab price in Mumbai Rs. 25,000. Samsung Galaxy Tab. It is a giant Smartphone or Tablet PC. It has 7inch TFT Color Touchscreen, Display resolution 1024 x 600 pixels, Android OS, Weight - 380g, Its Dimensions 193.7 x 122.4 x 9.9 mm, 3 MP Camera, 1.3 MP Front facing camera for video calling, Camera resolutions 2048 x 1536 pixels, 1GB RAM and its expandable up to 32 GB, CPU- Dual -core 1.2 GHz, Bluetooth v3.0, 3.5mm Earphone jack, Audio formats- MP3, WAV, eAAC+, OGG, WMA AC3.